A recent issue of OUTREACH Magazine states that in the US 90% of churches have less than 350 attending. The average church attracts less than 90 adults in their weekend services. Churches with attendance of 100 or less make up 60% of the churches. 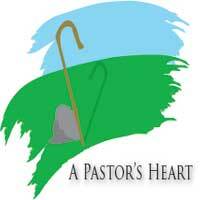 This blog focuses on the heart of pastors, specifically the heart of the pastor who leads a small to medium flock of Christ’s followers. The same issue of the magazine listed several helpful links for the small church pastor. A link I’m finding very helpful is by a Northwest Iowa pastor of a small rural church, Jim Thomas. His blog, http://smallchurch.com/ , offers helpful reflections and insights that make it worth checking out.